PETA have penned an open letter to the 'Needed Me' star, asking her to donate her fur coats to Syrian refugees. Rihanna has received an open letter from animal rights organisation PETA after recently wearing fur. 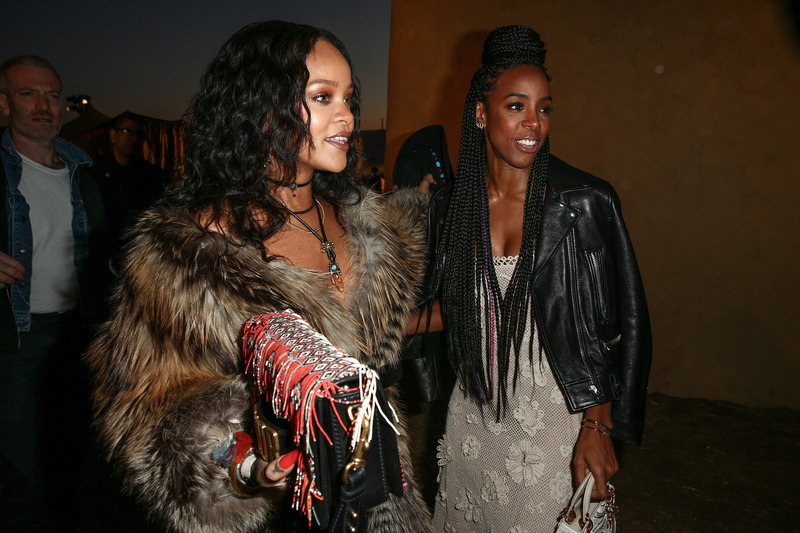 The 'Love On The Brain' singer arrived at last week's Dior Cruise show in a calf-length, Christian Dior fur coat, much to the dismay of animal rights activists. Following the backlash, People for the Ethical Treatment of Animals (PETA) have asked her to donate her fur coats to Syrian refugees. In an effort to encourage Rihanna to retire her animal pelts, PETA - whose motto reads, in part, that “animals are not ours to wear” - sent the star a faux-fur coat with an accompanying letter. "We saw the numerous comments from fans who were disappointed to see you wearing fur at the Dior event last week," reads the letter penned by PETA's senior communications manager, Andrew Bernstein. "Like us, they wish you would please retire your furs and instead choose a look that kills but doesn't actually kill anyone." Bernstein requests that the Grammy Award-winner donates her pelts to PETA, who will in turn send them to Syrian refugees. "In the past, we've sent furs to Syrian refugees and to homeless shelters, which has an impact on 'as many lives as possible in a positive way,' as you said so eloquently in your Harvard Humanitarian Award acceptance speech." The letter goes on to describe the "tremendous amount of pain and suffering" that the affected animals endure as a result of the fur industry. In 2015, PETA sent approximately 100 fur coats to Syrian refugees who were living in the "Calais Jungle" in France. Rihanna is yet to respond to PETA's request.